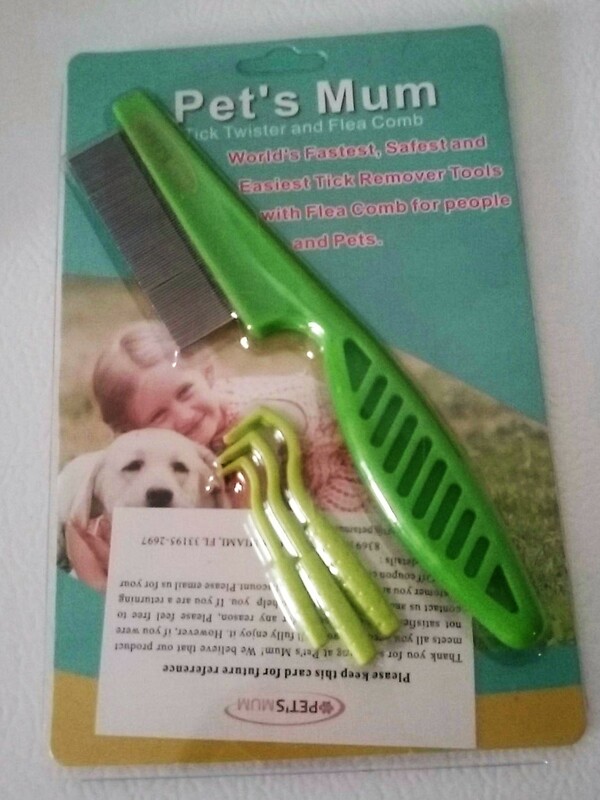 I bought the "Flea and Tick Control With 3 Tick Remover Twister Tool and Flea Comb For Dogs" through Amazon to try out on my dogs. Mainly for my long haired chihuahua/ wired terrier mix. The first thing I did was give my dog a bath. I shampooed him for fleas. That way it would be easier combating the fleas. Any dog owner who has treated their dogs for fleas, knows giving a bath does kill them all, nor get rid of them all. With the way my dogs hair is. I had to brush him out with a different comb that had wider comb needles to get the comb that came with it to go through. Nothing against the maker of the comb. 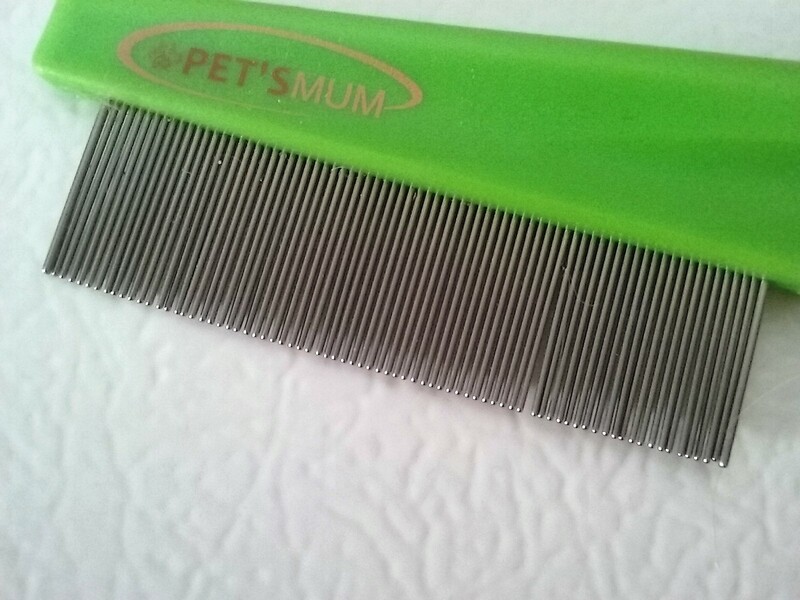 I know it is because of my dog's hair with the issue, not the comb. Once I was able to use the comb, it went through my dog's hair with ease. I was able to grab the dead fleas out of his fur. Plus, some live ones. The fleas were easy to remove from the comb. Three different sizes of tick remover tools also came with the flea comb. They are an off green color. 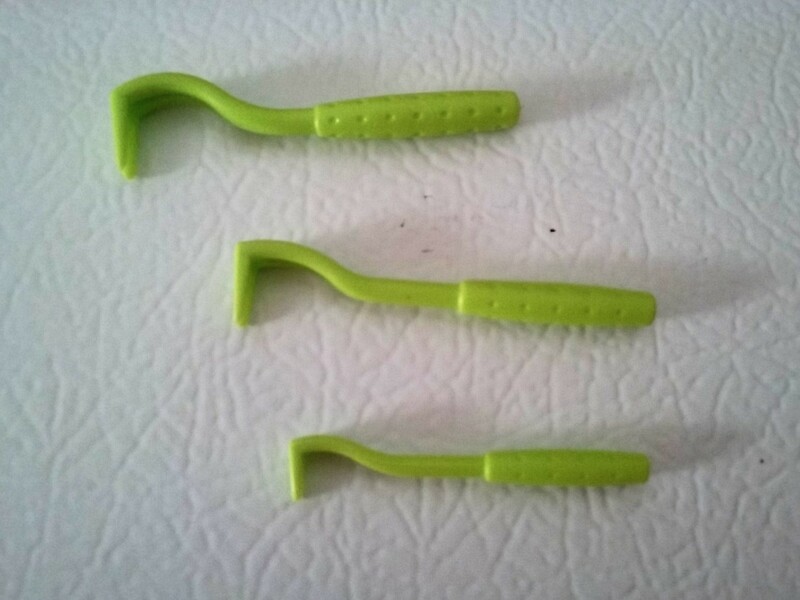 The ticker remover tools are made out of plastic. I think these tick remover tools work much better than nay tweezers I have used to remove ticks. Tweezers was the old stand by tick remover tool. Not anymore. I like these little green plastic tick remover tools much better. It is easy to slip the tool under the tick and remove it whole. If I had to rate this product from 1 to 5. 5 being the highest rated. I would rate it a 5. I am that impressed with it. I highly recommend this product to anyone who is works around or owns a dog. I recived this product for free or a deep discount. In exchange for an honest and unbiased review. Photos were taken by and © belongs to Sandy KS aka rusty2rusty. I don't have a dog but sounds like this is a good product. This product also work with other animals. As long as an animal can get fleas or ticks, this product will work to help remove them. This is awesome. I have dogs and cats so I am going to check this out. Thanks for your comprehensive and very detailed review with clear photos.